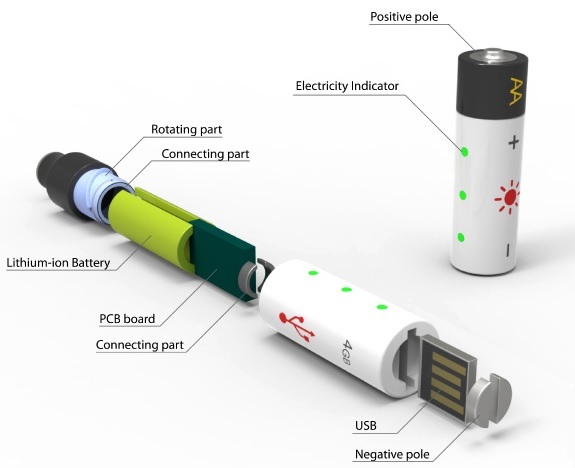 Have you ever thought about charging the battery by using a simple spring force?EnomHwaang and Ming Ho Kahn developed a new device for recharging batteries anywhere and at any time, regardless of the electrical network. Device uses a purelymechanical energy and has high efficiency. The recharging batteries is very simple. It is just creating a device like a clock and insert the battery into the slot. The operation is similar to the old clockwork toys. Device installed inside the spring which is gradually unwound, driving the shaft of the generator and producing a current. Spring and rechargeable batteries are connected to each other via the internal circuitry.